The outpouring of emotion in traditional and social media on the passing of iconic anti-apartheid leader Nelson Mandela got me thinking about how he, despite enormous odds, transformed a country, inspired millions globally, and changed the world for the better. I believe that owners and leaders of public relations and communications organizations can benefit enormously by studying and emulating leadership lessons from Nelson Mandela. 1. Be Brave. While some days leading a communications agency can be scary, let’s face it: you’re not trying to overthrow a government, stare down a police state, or change a political system deeply rooted in centuries of hate. 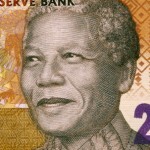 Fear didn’t get to “Mandiba,” so don’t let it get to you. Remember, your troops are looking at you desperately seeking bravery, but with their radars highly attuned for fear. Make sure you send them the right signal. 2. Share The Vision. Mandela laid out a vision for a South Africa where Blacks, Whites, and as they were then known, Coloureds, would play an equal role in governing the country they all loved. He was unwavering in his belief that this vision would someday come true, despite all “facts” to the contrary. Have you articulated your the vision for your agency? Are you unwavering in your belief in it? If you haven’t communicated your agency vision, and make clear you believe in it passionately, why should your team? 3. Forgive. If anyone had the right to hold hatred or bitterness in his heart, it was Mandela. But he decided, allegedly on the very day he left the jail cell where he had spent more than 10,000 days, to forgive his enemies.Various quotes say that anger, aka hate, bitterness, or resentment, is like drinking poison and expecting the other guy to die. So if you’re currently holding anger or its related feelings against a current or former client, a current or former employee, a competitor or anyone else, make the choice that Mandela did and replace it with forgiveness. You’ll be happy you didn’t swallow the poison. 4. Connect With People In Their Hearts And On Their Terms. Many of us have seen the clip, repeated over the last few days, of Mandela’s first trip to New York after being freed. He was in Yankee Stadium, and ended his speech with the words “You know who I am. I am a Yankee.” It almost didn’t matter what he had said before or after. The crowd, which was already at a fever pitch, went wild, and for a moment, each attendee felt a deeply personal connection to this global leader. When you speak, do you speak to your followers’ hearts? 5. Acknowledge Everyone’s Contributions. So many of the interviews with political leaders, celebrities, and journalists about what they remember and admire most about Mandela was how kind he was to servants, assistants, and children. He always thanked them, acknowledged their contributions, recognized something special in them, and treated them with kindness, humility, and humanity. Is there someone on your team you need to acknowledge today? What leadership lessons have you learned from Nelson Mandela? Please let us know in the comment section. And rest in peace, Nelson Mandela, an inspiring leader.